Worcestershire Litfest & Fringe, now in its eighth year, ran between 10 and 16 June. The festival opened with the awards for Worcestershire Poet Laureate and Young Poet Laureate being awarded and an emotional performance from the outgoing Laureate, Nina Lewis. What followed next was an eye-opening series of open-mic nights and performances featuring some of Worcestershire’s finest poets, including new Laureate Betti Moretti. From a night of educational poetry about Japan’s relationship with Worcester’s famous porcelain to announcing the Flash Fiction and Poetry Slam Champions, this year’s Litfest had everything. And it was my first taste of helping out behind the scenes. Being involved in Litfest really was like being welcomed into a family. Everyone pulled together in a tight-knit team and this, along with countless other reasons, was key in putting on a great show. Through social media, press releases, and promotion through printed materials and word-of-mouth, the Litfest launch saw over 70 attendees with many of them returning for the performances later in the week. Being able to bring my support with social media and press releases, as well as being there on the nights to help with setting up and packing away, is an experience I’m immensely grateful to have had. Not only was I able to assist in putting Worcester on the poetry map where it deserves to be, but the week helped me understand what I needed to do for my own poetic works. At the same time as working hard to promote Litfest, I have announced the launch of my debut poetry collection, Dark Nights into Brighter Days. 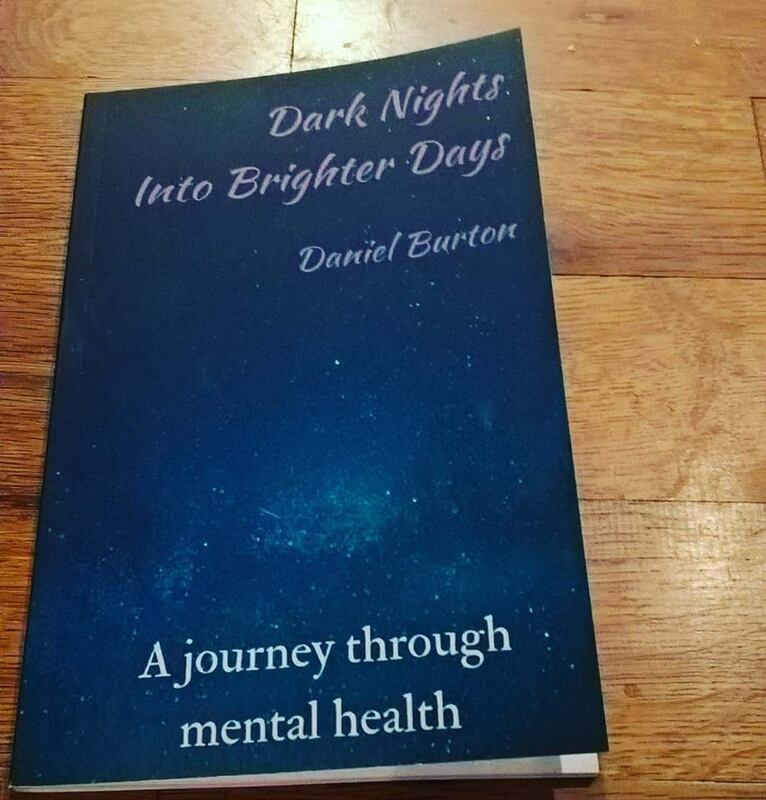 All of the poems in Dark Nights into Brighter Days discuss mental health – a topic very close to my heart – and looks to break down the stigma which sadly still exists around it despite greater awareness. The official launch will be taking place in Worcester at the end of July, with events also taking place in Leicester and Coventry shortly afterwards. At each event, some of those talented poets who were at Litfest and who I’ve met at other events around Worcestershire will also be taking to the microphone and I’m genuinely touched that they’ve agreed to take part. Shameless plug: copies are now available through Amazon or by emailing me directly. I’ll also be donating money from each sale to Rethink Mental Illness – a charity which looks to show people affected by mental health that there is support out there. Just like with Litfest, social media and PR have both been essential in gaining interest for the events. I’ve made the decision, again, to self-publish and this has given me a great amount of freedom to promote Dark Nights into Brighter Days using my own style. Through the creation of Facebook events and the distribution of press releases, the three launches have gained considerable interest. I also managed to arrange a radio interview on BBC Radio Leicester! With a little over a month to go until the event itself kicks off, there is still time for more interest and for people to spread the word (hint, hint!) even further. And the support I’ve had from the Litfest community has been immense. They’ve given words of wisdom and encouragement, and even shared the Facebook events with their own network. Thank you to the Worcester poetry community! The support and knowledge I’ve gained from Litfest has been a vital stage in my development with writing poetry and I’m delighted that many of them will be there on 28 July. Thank you all so much! If you’re launching your own poetry collection and would like some additional support with promotion, get in touch today.